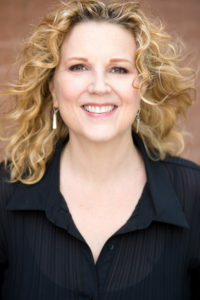 Tracy Christensen is a New York based costume designer whose recent credits include Sunset Boulevard on Broadway starring Glenn Close, Kate Hamill’s adaptation of Pride & Prejudice off-Broadway, “Lady Day at Emerson’s Bar & Grill, a film for HBO starring Audra McDonald, and the concert of Sweeney Todd with the New York Philharmonic, starring Emma Thompson and Bryn Terfel. In this exclusive video, costume designer Tracy Christensen discusses her inspirations for the Andrew Lloyd Webber musical. 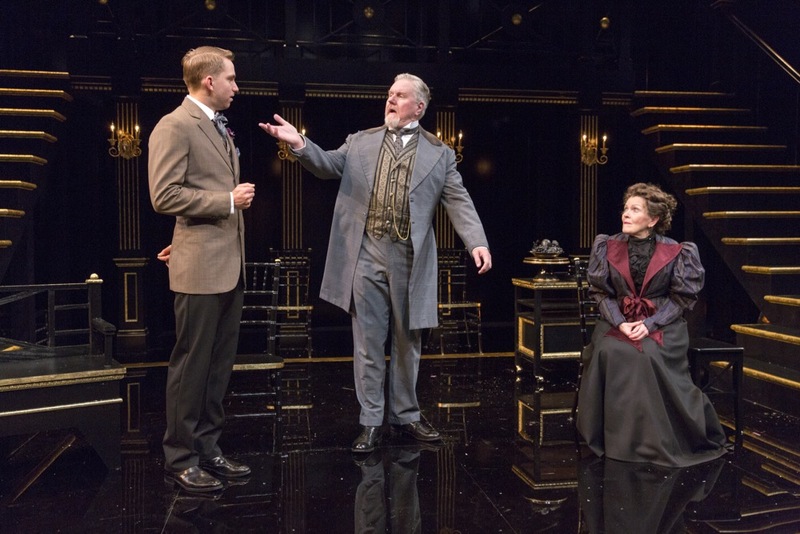 Roe Hartrampf, Lora Lee Gayer and Jeff McCarthy in “A Legendary Romance” at Williamstown Theater Festival. Photo Credit: Daniel Rader. 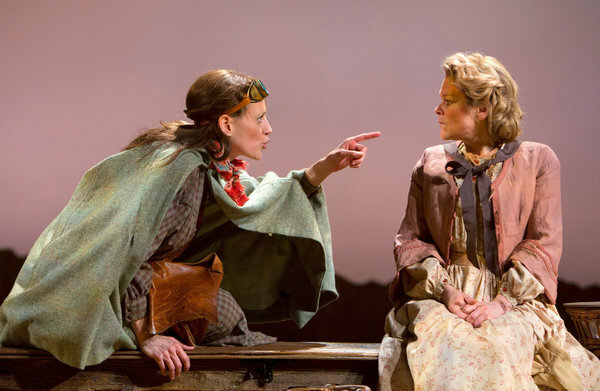 The site was fitting for this nontraditional but nevertheless faithful production, which essentially dispensed with sets and featured simple, contemporary costumes by Tracy Christensen. And as the curtain rises, you’re transported to a neon-lit evocation of 1950s Times Square…. and, of course, the Hot Box, where Miss Adelaide and her bevy of slinky chorines entertain nightly, wearing Tracy Christensen’s naughty, skimpy costumes and flirting happily with the customers. 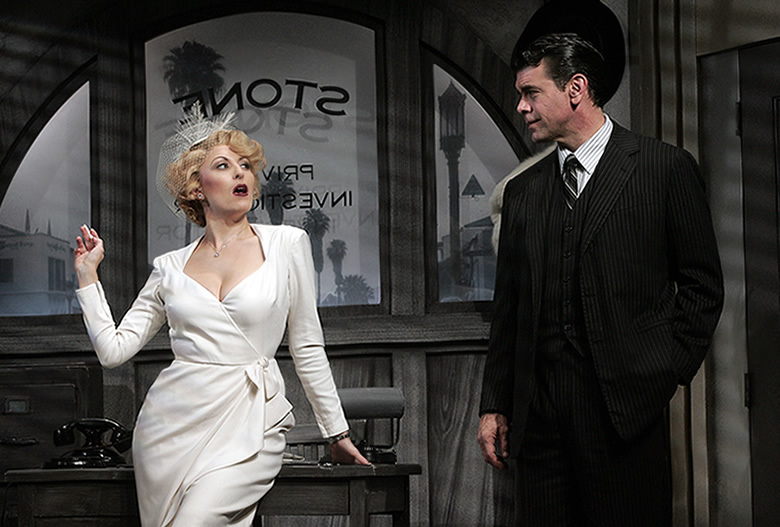 (In fact, the costumes throughout are outstanding, whether the scarlet uniforms at the Save-A-Soul Mission or the sharp plaids and pinstripes for the cardsharps and mobsters. The costume design by Tracy Christensen is beautifully done allowing the supporting players to transition easily between characters. Tracy Christensen’s costumes provide an infallible guide to which is which: the characters bringing Stine’s movie script to life wear only black, white and gray; Stine and the other reality dwellers dress in greens, browns, rusts and other Bakelite hues. 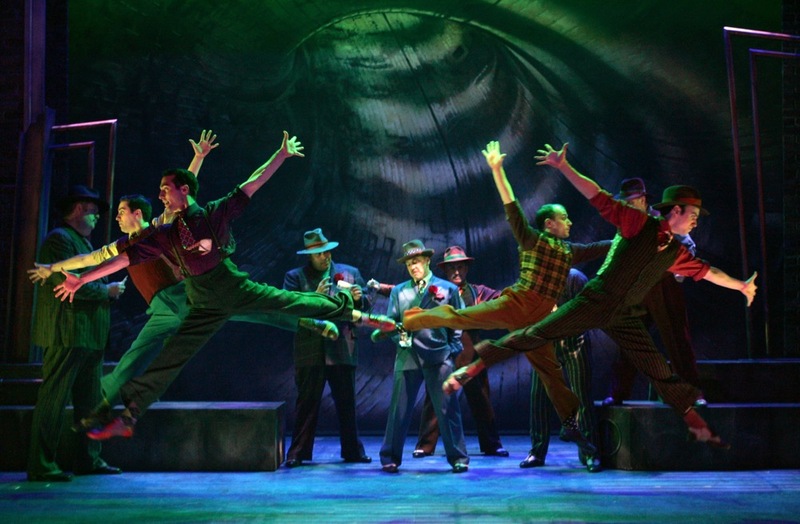 Tracy Christensen’s costume design achieves a 19th-into-21st-century universality, with the men’s wardrobes heavy on denim and the women in some boot styles and skirt lengths that have appeared in Vogue in our lifetimes.